To activate a single license using a product code, please click on the links below to go to the instructions for the product and platform that you will be using. Note: these instructions assume the you have already installed the trial version of the product. If you have not done that, go to I bought a single license of Read&Write, EquatIO, and/or Fluency Tutor for Google, Now What?. 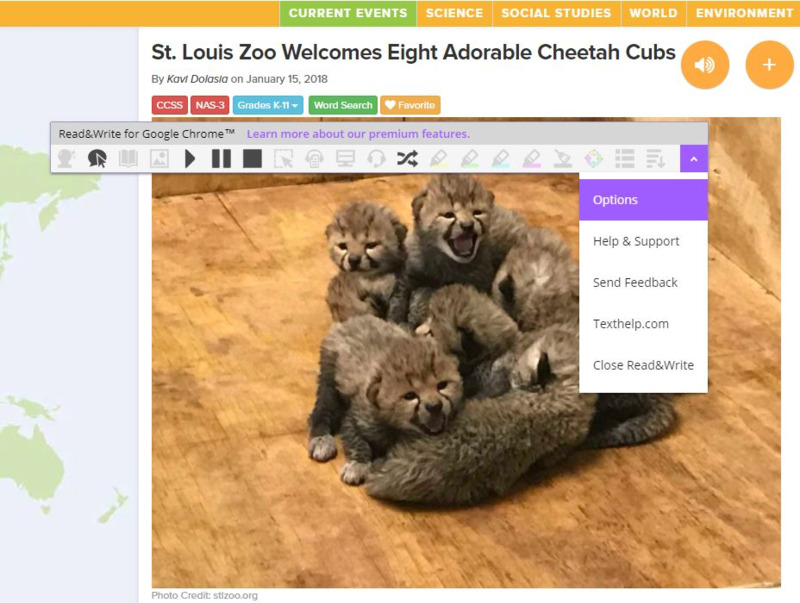 Open up the Read&Write for Google Chrome toolbar in a Google Doc or on a web page and click on the drop down arrow on the right hand side of the toolbar and select “Options”. In the Options window, select “About” and you will see an empty field for your Product Code. Enter your Product Code and click “Activate”. Your toolbar will then light up all of the icons and the trial message will go away. 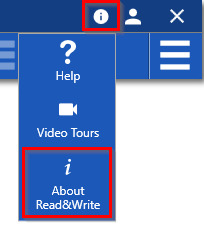 Open the Read&Write for Windows toolbar and click on the information icon in the top right corner of the toolbar and then select “About Read&Write”. 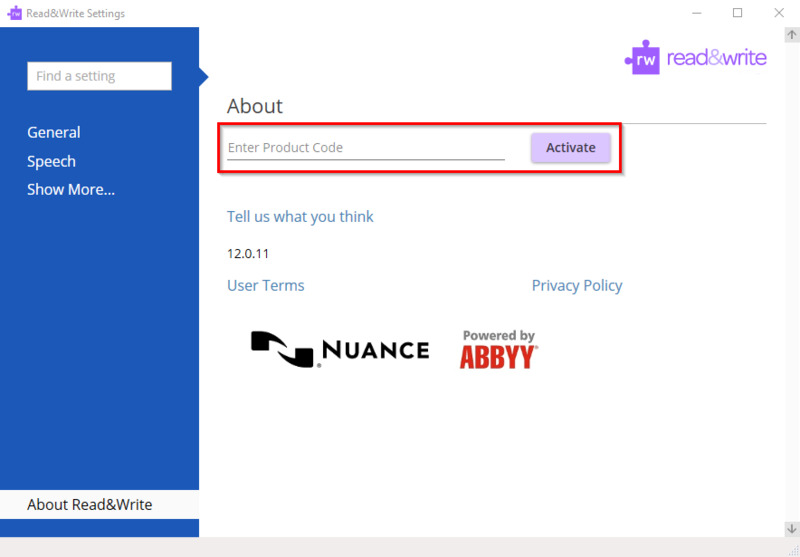 Enter your product code and click “Activate”. Your toolbar will then light up all of the icons and the trial message will go away. 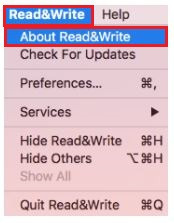 Open the Read&Write for Mac toolbar and click on Read&Write at the top of the screen, select “About Read&Write” . 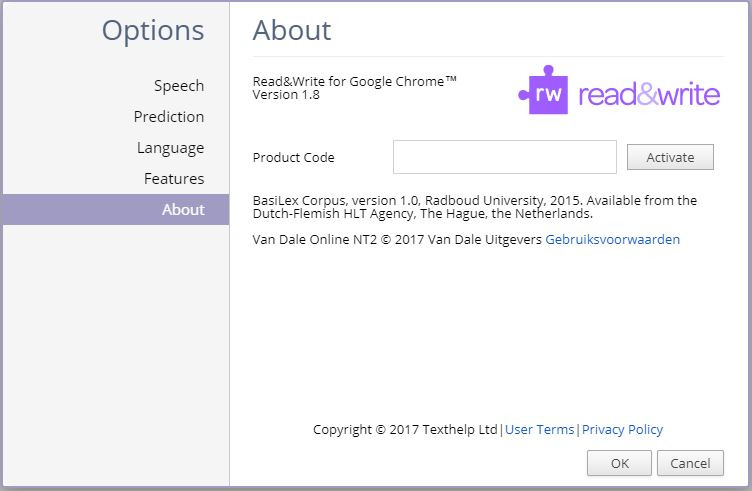 In the About Read&Write window, enter your Product Code and click “Activate” Your toolbar will then light up all of the icons and the trial message will go away. 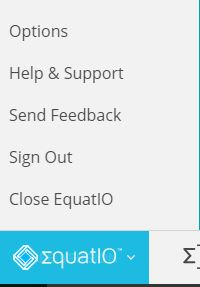 Open EquatIO and go to the pop up menu in the bottom left of your screen and select “Options”. 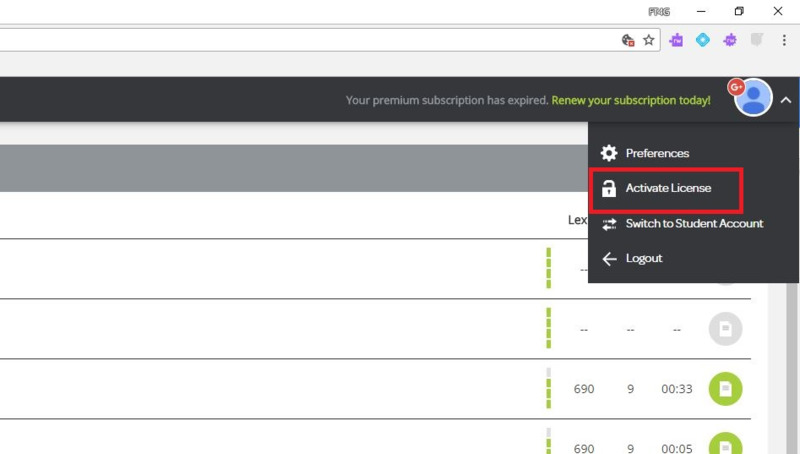 On the Options menu, select “Premium”. 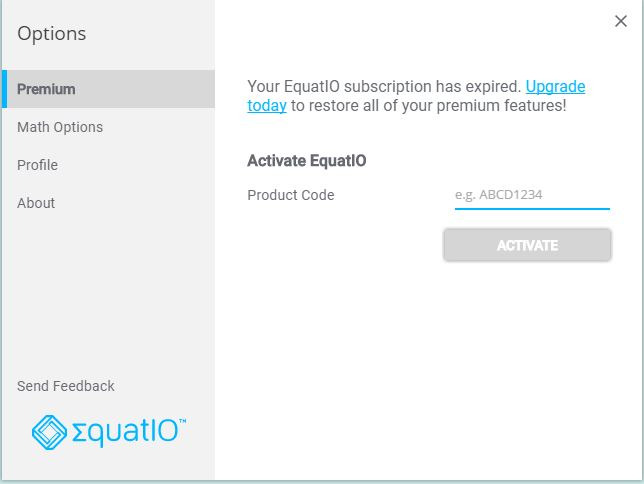 Enter your Product Code, and click “Activate”. You will now have access to all of the premium features. Navigate to your Fluency Tutor Dashboard, fluency.texthelp.com. Click on your Google Plus icon in the top right corner. In the drop down menu, select “Activate License”. 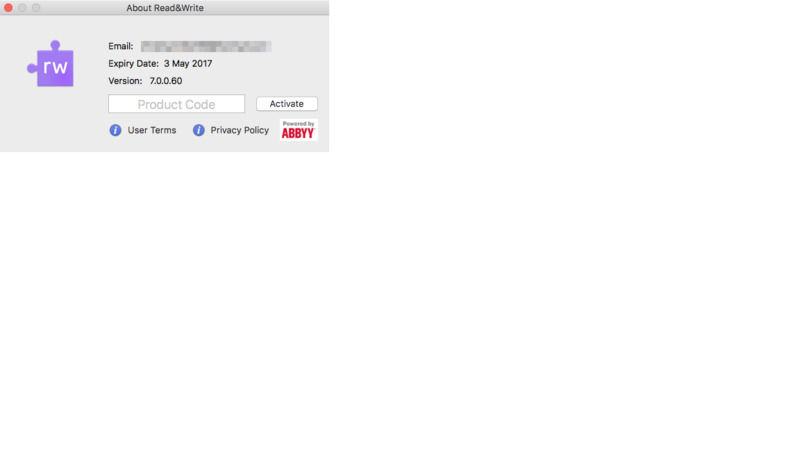 Enter your product code in the gray box and click “Activate”.